eCommerce software available on the Internet make it easier for just about everyone to launch their own shopping cart. It does require a person to have in-depth knowledge of computers or programming. A person who is computer savvy or familiar with working on a computer can easily setup a shopping cart. However, if there is a need for some customization or advanced configuration, it is likely that expert help will be required. Magento: Magento is one of the leading open source eCommerce software, currently available as a free download. It has a larger part of the market share when it comes to the eCommerce websites online. The benefit of choosing Magento is that is easy to setup and configure. Besides which Magento has many features already built-in which leave little need for customization. In addition to which there are additional modules available for additional features. Zen Cart: Zen Cart is also an eCommerce open source software and unlike Magento it has been around for a very long time. It had a large portion of the market share at one point in time, however it is now declining. In terms of installing and configuring the shopping cart Zen Cart may be fine. However, when it comes to doing something more, like adding additional features one would require the expert help. PrestaShop: PrestaShop too is one of the most popular eCommerce open source software. This too is fairly recently launched, similar to Magento and is gaining in popularity too. The advantage of using PrestaShop is that it too has man built-in features and several free plugins. The level of support and online help that one can avail is also impressive. However with PrestaShop many of the additional features in the form of plugins and modules come at an extra cost. Woo-Commerce: Woo-Commerce is an eCommerce plugin for WordPress that makes it possible to convert your WordPress website into a shopping cart. This eCommerce Software has grown in popularity over the years and it is now used by several eCommerce website online. The advantage using Woo-Commerce is that it is a plugin to your WordPress website. There are many websites that are already using WordPress for their personal blog, a company CMS or an informational website. Thus to convert these websites into a shopping cart is as easy as installing a plugin. WordPress has a very simple interface that is very easy to use, even for a person who is not computer savvy. Developing an eCommerce website can seem as an expensive prospect to many business owners. However, with an increase in the number of people making online transactions and number of people using their mobile device to shop online you are losing to your competitors by not investing in an online store. 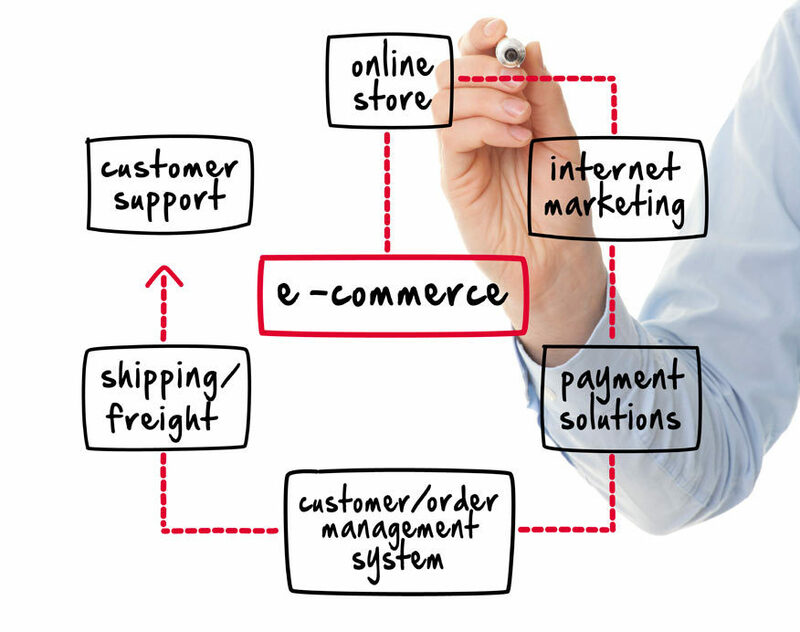 Developing an eCommerce website is easier that you can imagine. It is advisable to take expert help when setting up your eCommerce website so that it can be customised to suit your business objectives. All it takes to venture into the eCommerce market is a rough idea of how the website should look and clear picture of the products you wish to make available online. It is possible to modify and add features to your eCommerce website once the basic eCommece website has been launched. Alakmalak is a Web Development company that is involved in eCommerce web development as well. They have developed eCommerce websites for clients from all around the world. Their client retention ratio says a lot about their quality of work. How will releasing of Windows 10 give positive effects to your business online?